James Askew & Son was a British publishing company based in Preston. 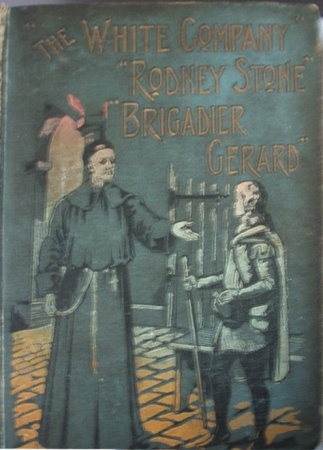 The company specialized in volumes for school and college, combining sheets of sixpenny series of various other publishing companies. 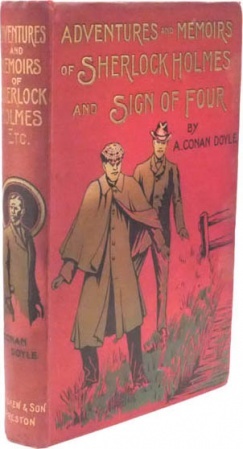 They bought the rights and placed their own imprint. 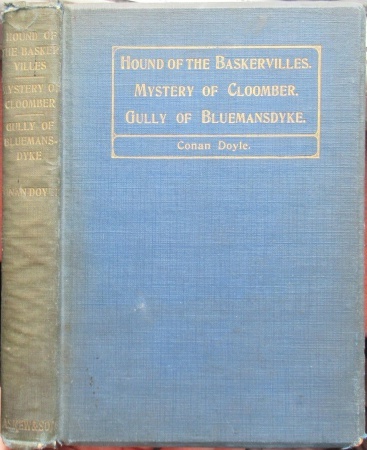 Sometimes the spine still kept the original names of the publishing company (like Eld & Blackham and Philip, Son & Nephew Ltd.). 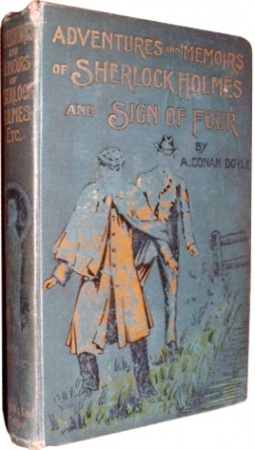 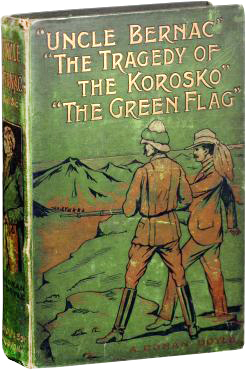 Between 1902 and 1920, the company published 9 novels and 46 short stories written by Arthur Conan Doyle. 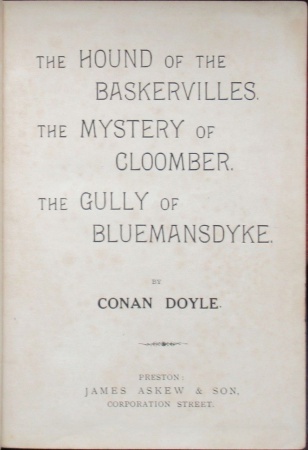 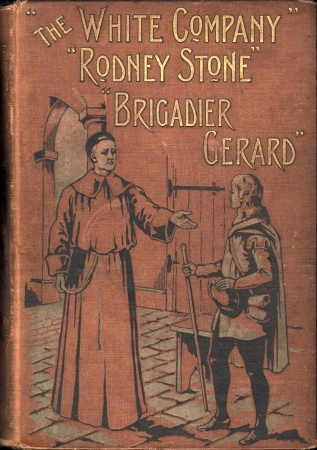 "The White Company ; Rodney Stone ; Brigadier Gerard"
"Uncle Bernac ; The Tragedy of the Korosko ; The Green Flag"
"The Hound of the Baskervilles ; The Mystery of Cloomber ; The Gully of Bluemansdyke"
This page was last edited on 9 July 2017, at 21:14.